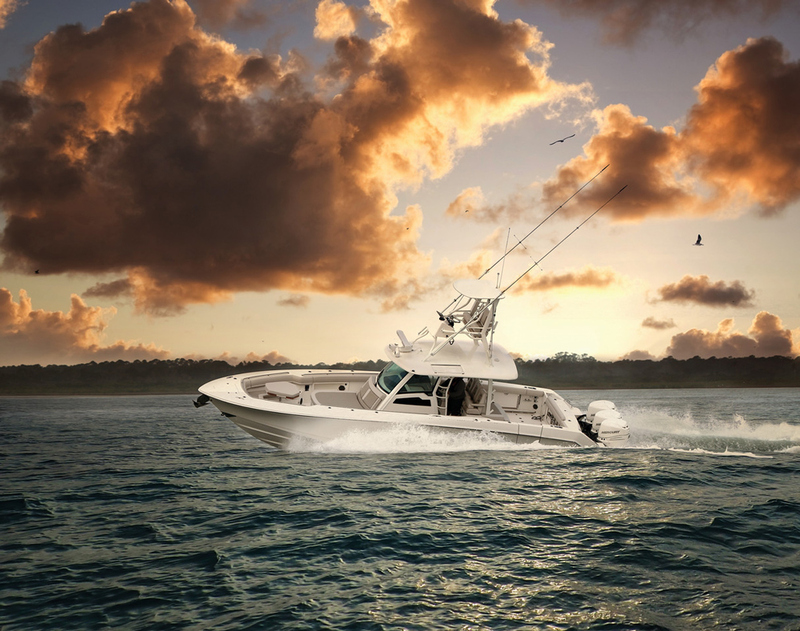 The 2019 Boston Whaler 210 Montauk brings new life and significant improvements to a classic model. 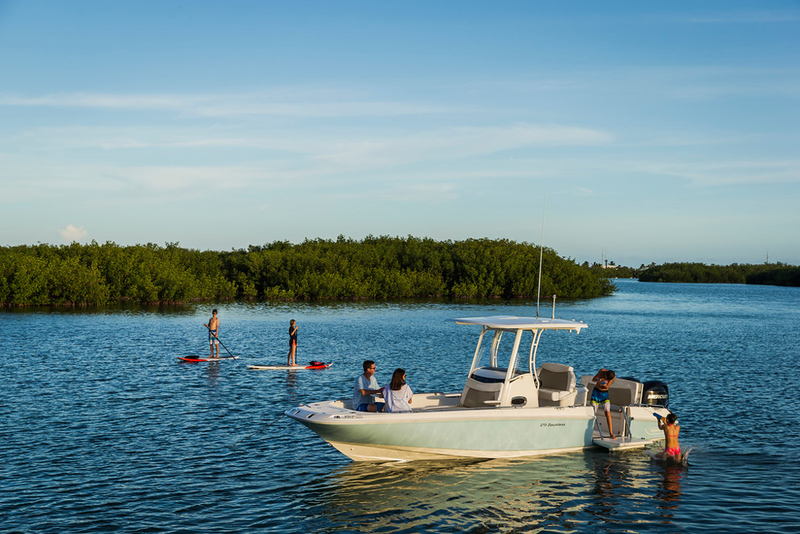 The 2019 Boston Whaler 210 Montauk—built with an all-new hull design—has maintained the great features expected on a classic Whaler, while also providing a smoother, drier ride and far more comfortable surroundings. 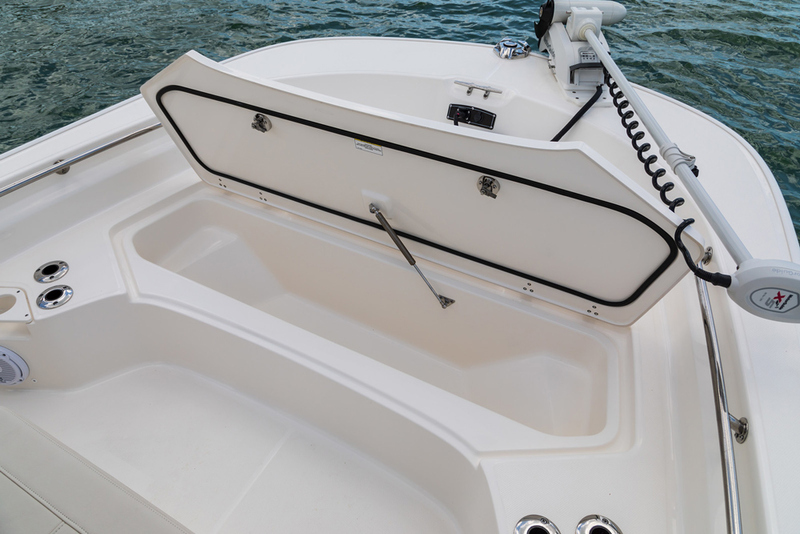 Four rod holders come standard in the transom of the boat, in addition to flip-up aft seats, removable bow backrests and cushions on the casting deck—not to mention the forward fishbox arrangement, with an awesome hatch (fully finished on both sides with a gas-assist strut) and overboard draining. 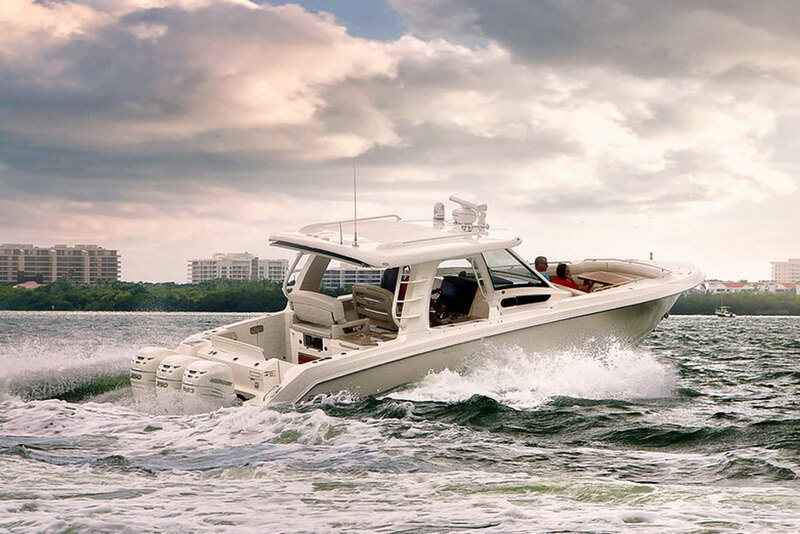 See all Boston Whaler 210 Montauk listings, and read additional Boston Whaler reviews, including the 2012 210 Montauk, the 190 Montauk, and the 270 Dauntless. Those of us who grew up with a 60s or 70s vintage Boston Whaler center console fishing boat in our childhood—and there are a lot of us—will remember fishing and enjoying watersports from a rock-solid, completely unsinkable platform. We’ll remember loving that boat, but we’ll also remember getting soaked with spray, banged up in rough seas, and experiencing a comfort level that was a bit on the Spartan side. 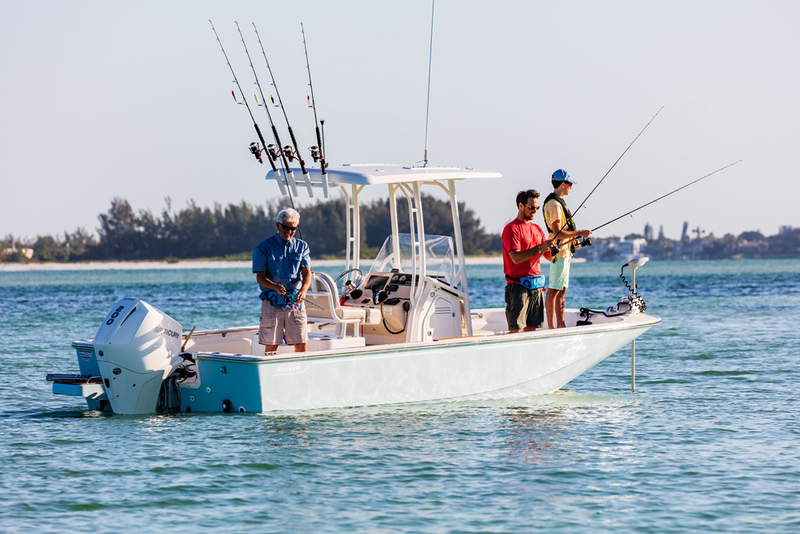 Boston Whaler said that their new 2019 210 Montauk—which is built with an all-new hull design and removable cushions from the bow’s casting deck—maintained the great things about those classic model, while also providing a smoother, drier ride and far more comfortable surroundings. 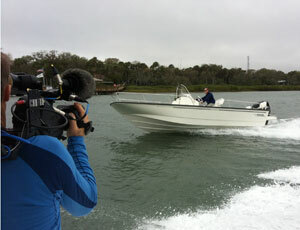 To find out if that was the case, we spent an entire day aboard a 210. We ran it through the bay and out into the open Atlantic. We tried making a few casts, and kicking back to relax. The final verdict? See it for yourself. As you saw, comparing the comfort level on this new Montauk with that on those old Whalers of yesteryear is akin to comparing your surroundings in a Ford Model T with those in a 2018 Expedition Platinum edition. The boat rides about as dry as it gets for a 21-footer, the 16-degree transom deadrise smooths out the bumps, and yes, this boat remains as stout and unsinkable as the original Boston Whalers. 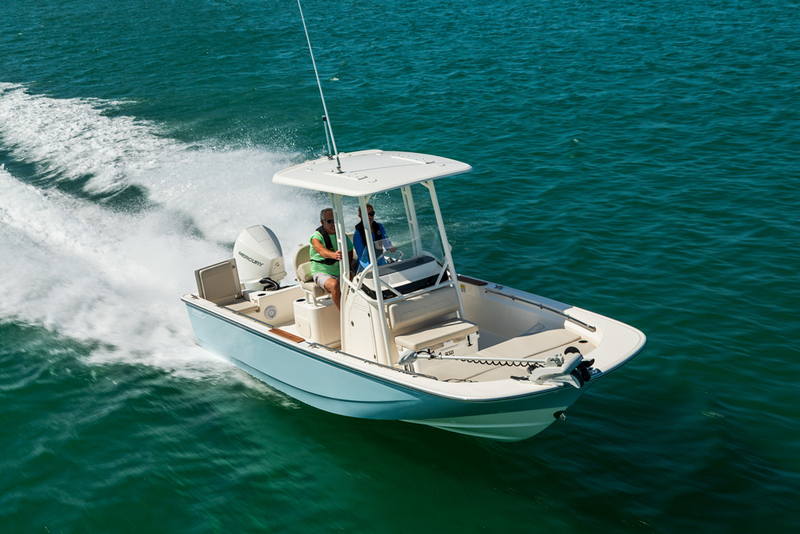 Of course, the previous version (which you can see in our 2012 Boston Whaler 210 Montauk: Video Boat Review) was already light-years ahead of vintage Whalers, so let’s look at the specific and significant model year changes. 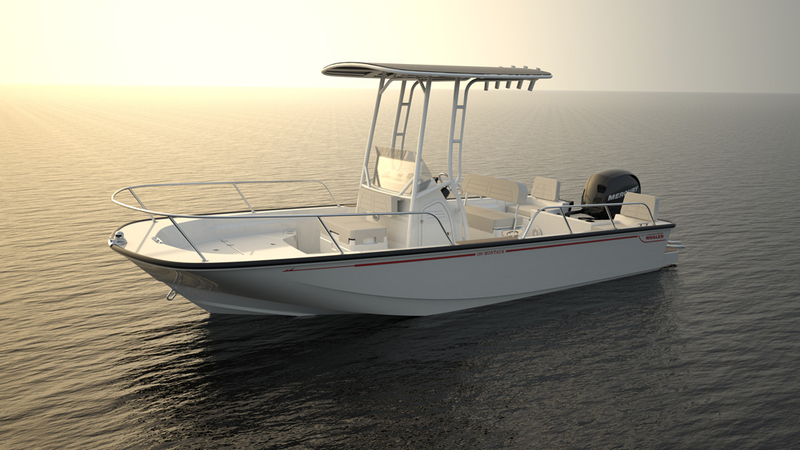 The 2018 model of the Boston Whaler 210 Montauk has a number of new features that distinguish it from older models. The flip-up aft seats and the addition of removable bow backrests improve the seating options, while at the same time enhancing fishing. Fold those aft seats down, and you have an elevated casting deck. Stow the forward backrests, and the receiver mounts add a pair of rodholders to either side of the bow. More seating options have been added into the mix thanks to a variety of leaning post options, including an option with a livewell and flip-up bolster seats, another with a cooler under the leaning post, and a third with a swing-back seat with a cooler or livewell. If you feel nostalgic for that classic Whaler look, the 2019 model can be had with a teak package adding boarding steps, a teak swim platform, and helm footrest. The look and feel of the boat can be further customized with the addition of either raised or low-profile bowrails. Meanwhile, the helm has also been re-styled and fine-tuned to be more ergonomic, and ready for flush-mounting factory-installed Raymarine electronics. As far as angling features go, the 210 Montauk has everything you’d expect plus a few nice surprises. Flip up the bowdeck hatch, and you’ll discover an overboard-draining fishbox with plenty of space for those trophy stripers. And check out that hatch closely: it’s fully finished on both sides, raises on a gas-assist strut, is both gasketed and guttered, and dogs down tightly with two compression latches. In short, it’s as high-quality a hatch as you’ll find on any boat, period. We LOVE this forward fishbox arrangement. Between the awesome hatch, overboard draining, and Whaler’s foam-everywhere insulation, we’re not sure there’s any possible way to improve upon it. Light tackle anglers may want to consider adding the bow-mount electric trolling motor panel, which comes along with a pair of battery boxes and pre-wiring. One note: remember that this option deletes the standard bowrail out of necessity, and replaces it with low-profile grab rails. It’s also not compatible with the freshwater shower, a feature that anglers aren’t likely to miss much but watersports enthusiasts may want so they can rinse off the brine after climbing back aboard. Also note that four rod holders come standard in the transom of the boat, but gunwale mounts aren’t an option due to the svelte nature of the gunwales and Whaler’s glass-foam-glass construction method. That’s no worry, though, because there are plenty of other rod holders in the mix; the different leaning post options can add between two and four more, the T-top has four rocket launchers, and don’t forget about the pairs of holders in the bow that support the removable backrests, should you opt for them. Is the 210 Montauk ready to fish right out of the box? Oh, heck yeah! With removable cushions in the bow, anglers will find a casting deck that's ready for action. Above and beyond all these changes and features, one thing about the 2019 210 Montauk remains exactly the same as it’s always been aboard all Boston Whalers—the boat is 100-percent unsinkable. Chop it into 50 pieces, and all 50 will still float. That’s due to Whaler’s construction method, which includes laying up the hull and liner, putting them together in a bolted mold, then shooting in liquid foam under pressure. The foam expands to fill every gap and void between the parts, then bonds to the fiberglass as it cures. In the end, the boat is essentially one rigid, solid piece. That glass-foam-glass construction is the main reason why we loved those old vintage Whalers, and why our parents loved taking us out on them. And while today’s 2018 Montauk has a lot more comfort and convenience baked in, the bottom line remains the same: Spend a day fishing and relaxing on one, and you’ll love this boat. Other Choices: You won’t find a boat built in an identical fashion, but one that offers a similar trim level and performance is the Pathfinder 2200. 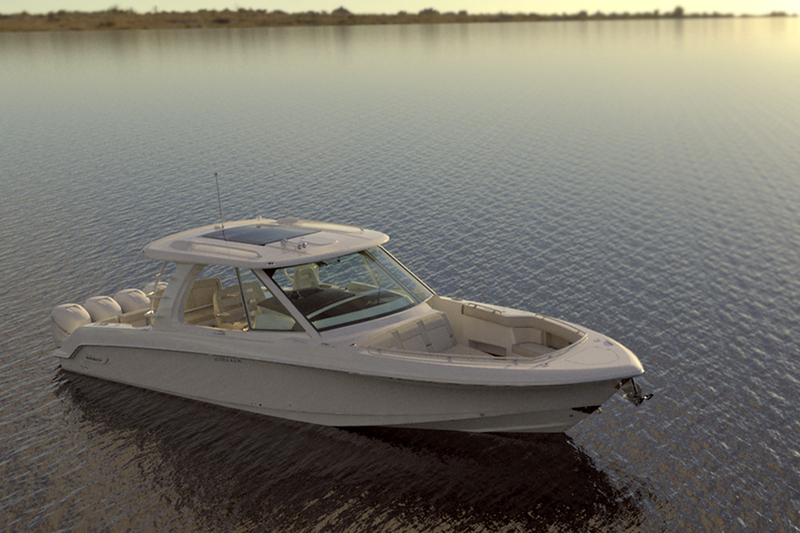 Another that tilts more towards fishing and less towards alternate activities is the Pioneer 220 Bay Sport. 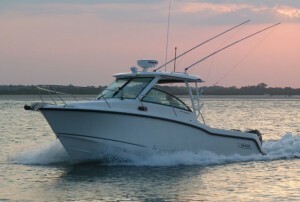 See Boston Whaler 210 Montauk listings.